This was a comment I received from a co-worker when I shared my experience at Monster Jam in Tampa last week. 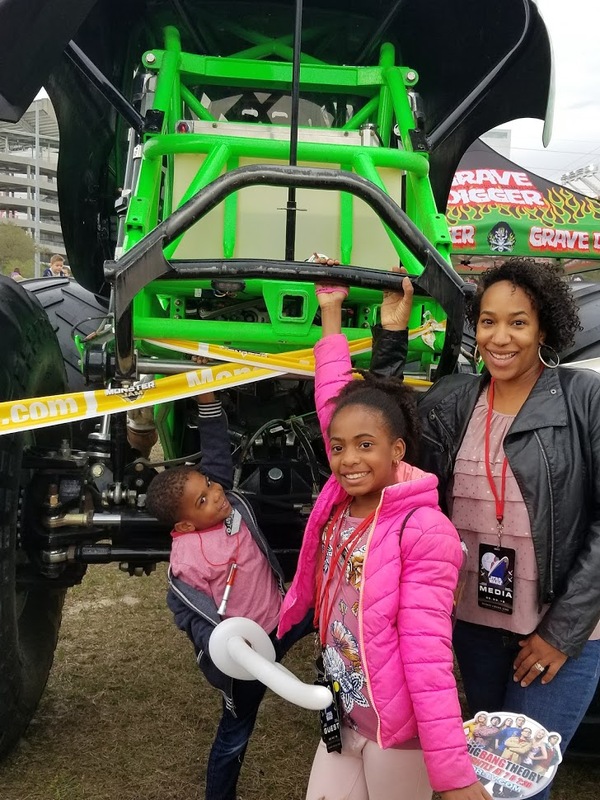 My response was, “I actually have a daughter and we all had a blast!” I wonder if it’s a stereotype that Monster Trucks are just for men/boys but based on the all the screaming women surrounding us last week, that is clearly wrong. 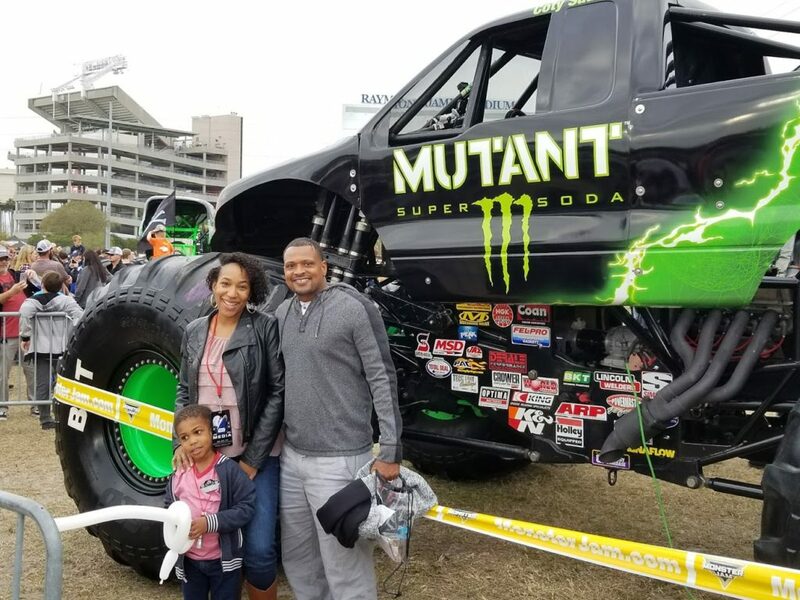 My family was given the opportunity to experience Monster Jam when they came to Tampa on last Saturday. We’ve never attended before, so I had no expectations. I just knew I would be seeing trucks crash into each other. First, I was wrong. They didn’t crash into each other. Second, I learned that this type of event has thousands of fans. The show started at 7 pm and we arrived around 4:30 pm to visit “The Pit”. 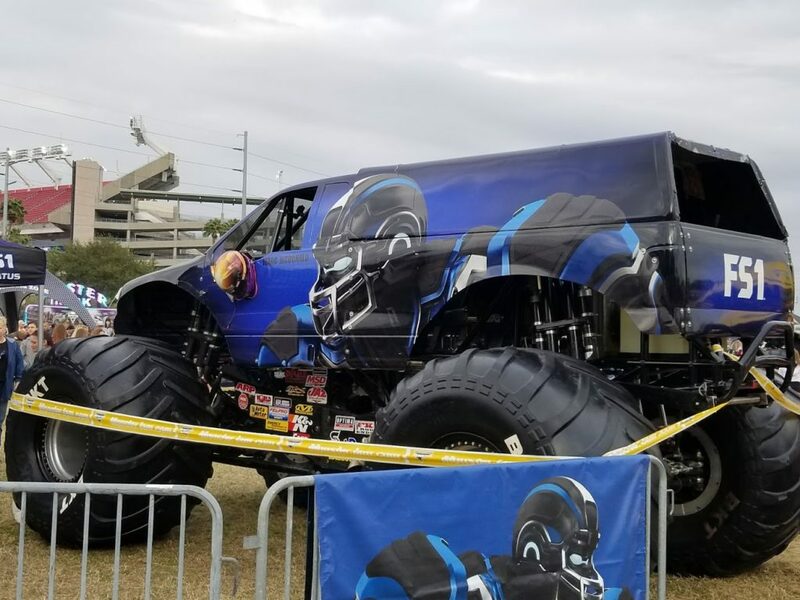 The pit is where you can you meet the actual Monster Jam Truck drivers in the show. You can take pictures with the trucks, the kids can ride rides, get snacks, browse other vendors and more. We walked the around the pit and learned that there were two women drivers this night. My daughter was able to see those women run with the big boys too, as we were both looking forward to cheering these women on. After we left the pit, we headed to the sidelines to watch the parade of trucks. It’s when the trucks line up to enter the stadium. It was the first time we actually got to hear these trucks rev up and understood why those earplugs were so important. 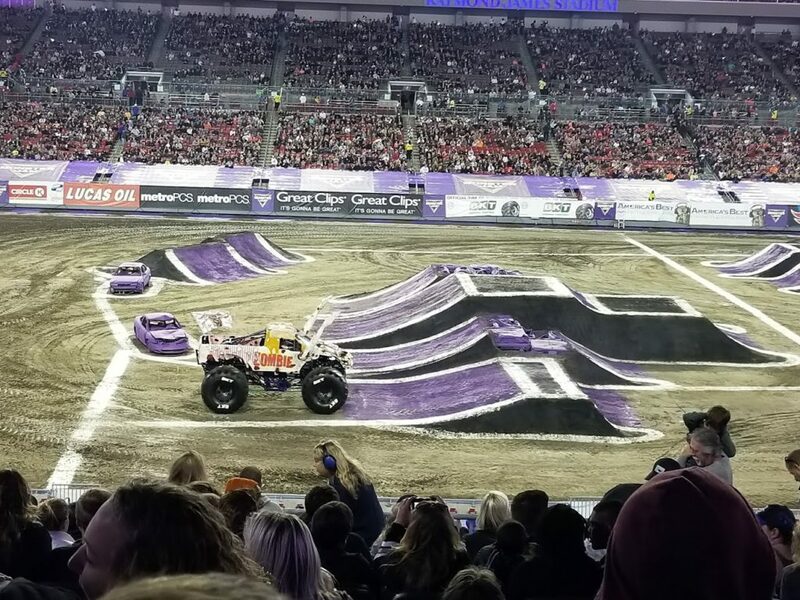 Again, I didn’t know what to expect in a Monster Truck show. I thought these trucks would be ramming into each other and doing major crash damage to each other. Wrong! Wrong! Wrong! In this show, it was actually a contest – and we voted for the winner with our phone. How cool! It was three different contest. The first contest was a race between two trucks. They have to race around the track twice and the fastest time won. Many times it came down to the camera being the judge. It was that tight at the finish line at times. The second contest was called Two Wheels. The drivers had to perform their best driving tricks on two wheels. Then we pulled out our phones and voted with a score between 1 and 10 on our phones. The score immediately showed up on the big screen. The 3rd and final contest was the grand finale. Each truck was given about 1-2 minutes to drive around doing amazing tricks. This is where we saw a truck flip and catch on fire, 3 cars flipped upside down on purpose, trucks fly through the air like a movie. Just amazing things! The favorite part was seeing my kids get excited about scoring these cars. They were serious about that part. I believe making it interactive added an element of engagement for the sold-out crowd. The entire stadium was packed. I kept looking around thinking, “Who knew? !” My daughter cheered so loud for the women drivers. One of the ladies actually crashed her truck but it was fixed in no time. I looked over a few times at my husband and would see his eyes light up like a little boy all over again. Grown men were screaming and yelling like their team scored a touchdown when these trucks turned over. It was funny and entertaining. 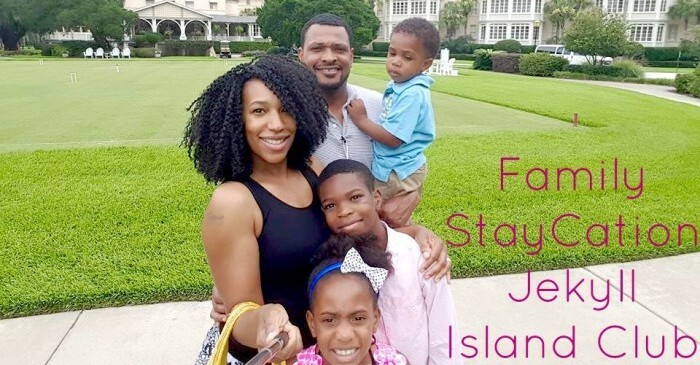 It was great experiencing something different with my family and having a blast. 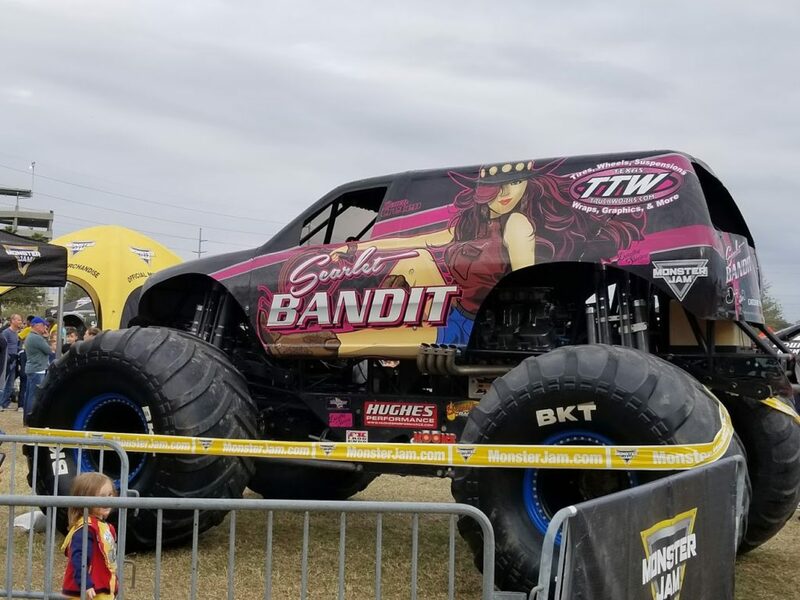 When Monster Trucks comes to your area, I would recommend going to see just what the hype is all about! Bring earplugs. It’s so loud! We put them in our ears before we walked inside. Have something a little stronger for the babies, like earphones. Come early. We arrived 3 hours early and it still didn’t seem early enough because of the tailgating. Visit the pit. This gives you more appreciation for the men and women out there driving. It’s great to experience the real truck culture in the pit. 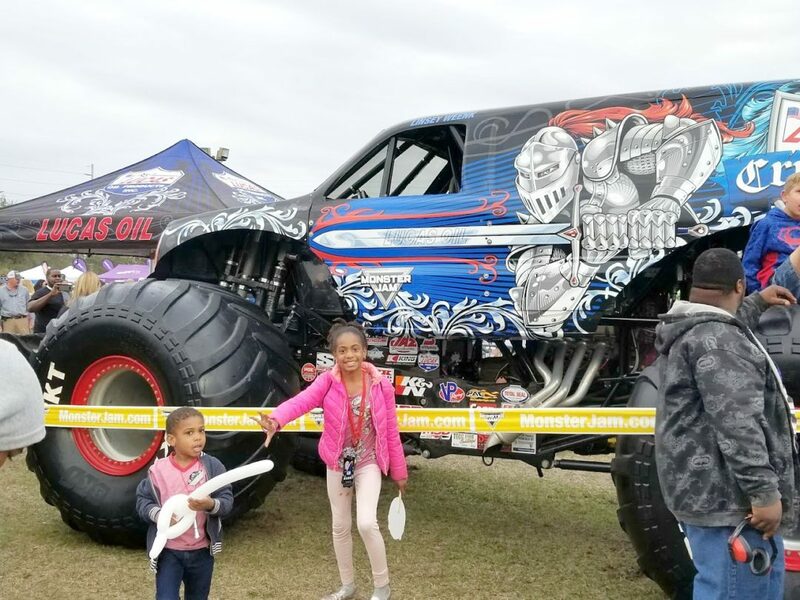 Print out the Free Monster Jam Activity Pack – save yourself some money and print out the activity pack from home. 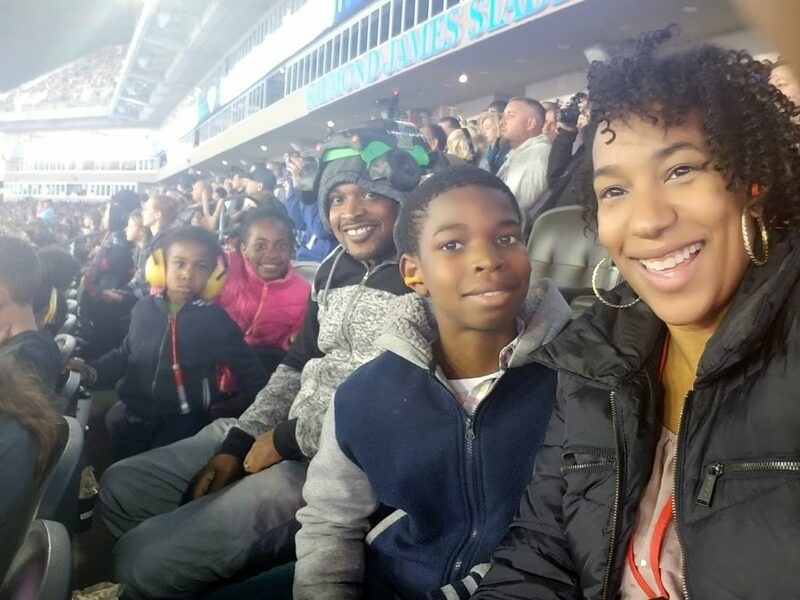 Have you ever attend a Monster Jam Trucks show? What was your experience? Visit their website and see if a show is coming to your city. 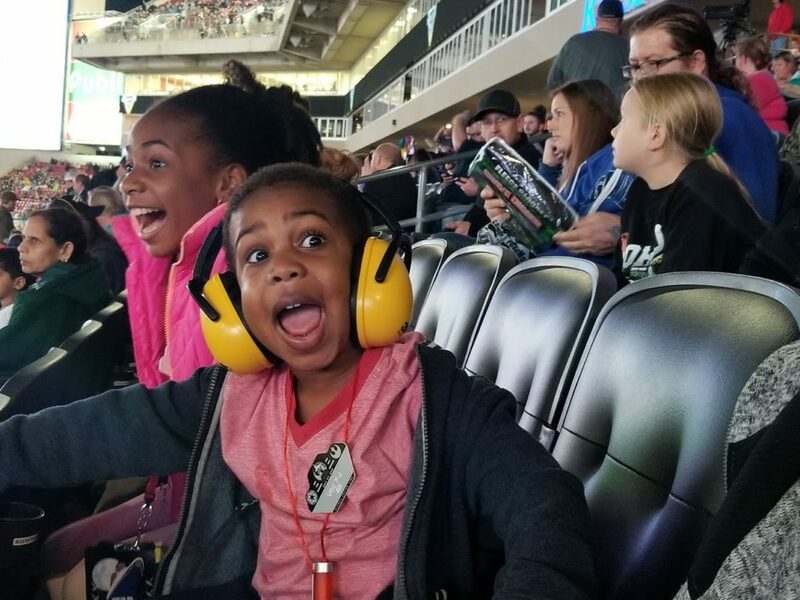 Follow the #MonsterJam to see all the fun people have at these shows.